UKTV has commissioned Brown Bob Productions for 20-part fixed rig series Inside The Operating Theatre. 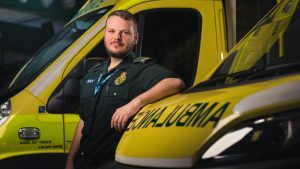 The show is the latest installment in the producer’s Inside The… franchise, which includes Inside The Ambulance and Inside The Vets. It is to air on UKTV’s W channel, and focuses on the day surgery unit at Queen Elizabeth Hospital in Norfolk, England. The series offers insights into four operating theatres, with a staff of 75 who carry out operations and procedures from cardiology to plastic surgery. The programme was commissioned by UKTV deputy director of commissioning and head of factual and factual entertainment Hilary Rosen. It was ordered by director of commissioning Richard Watsham and genre general manager for comedy and entertainment Steve North. The show is exec produced by Audrey Neil for Brown Bob Productions. It will air on W next year. Rosen said: “Brown Bob’s latest addition to the ‘Inside the…’ franchise is their most ambitious rig to date, and I can’t wait to see how the stories from the Queen Elizabeth Hospital’s operating theatres unfold.